In 1971, Joey Skaggs was living on a farm in upstate New York. 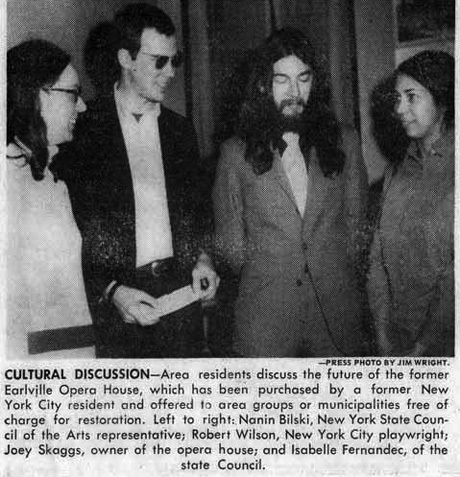 When he was informed by a local Realtor that the Earlville Opera House in Earlville, New York was for sale, he took a keen interest. It had been abandoned for 15 years and was in a great state of disrepair. If no one was to buy it, it was to be torn down and turned into a parking lot. He went to see the building and fell in love with it. Skaggs believes these buildings are important links between our history, our present and our future. 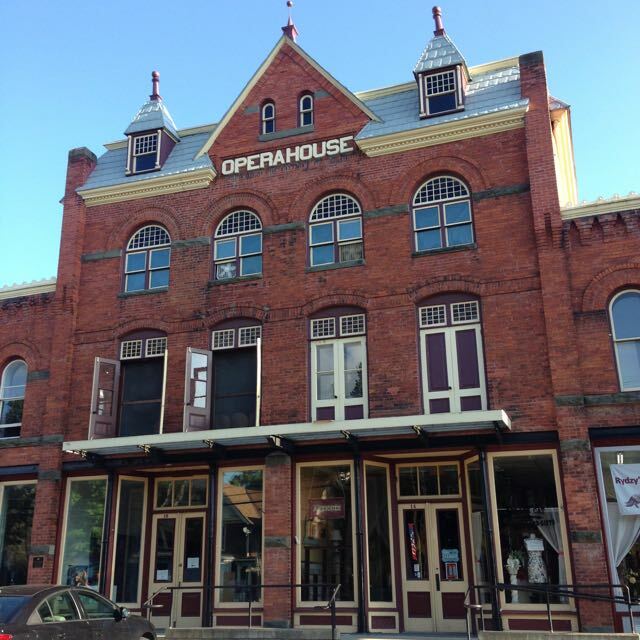 Not wanting it to be razed, but rather restored and preserved, he purchased it and incorporated it as the Earlville Opera House, Inc.. Although the initial purchase price was extremely low because no one wanted it or cared about it, an enormous effort and initiative was required to set it on its way to becoming what it is today. His desire was to see the opera house reconstructed and revitalized. He felt that it’s proximity to Colgate University was a benefit, and that the community would much rather have a restored beautiful work of architecture in its town than a parking lot. Towards that end, he met with local politicians and civic organizations so they could understand his vision and become actively involved. This being the early 70’s, and his being a relative outsider, some local people expressed distrust and suspicion about his interest in the project. None-the-less, he involved the Creative Artist’s Public Service (CAPS) grant program for the New York State Council for the Arts and launched a PR campaign, which included Syracuse television, local radio stations and newspapers, and the New York Village Voice. He then offered to donate the opera house to any non-profit organization that would utilize it for cultural purposes. He saw this as an opportunity for cultural exchange. 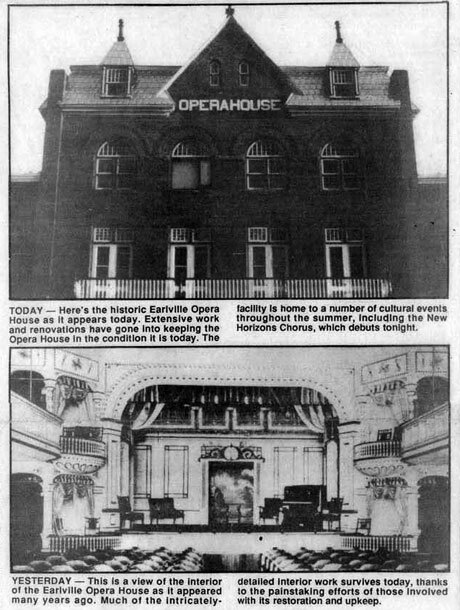 After all, the original concept of opera houses built throughout New England was to create a platform for local as well as traveling performances. The response to the offer was overwhelming. He was besieged with all kinds of proposals including one from the producers of Hair, another from the famous playwright and director, Robert Wilson, and others from various dance groups and theatrical troupes. Thus he had the arduous task of deciding which group would best benefit the community and would be best benefited by receiving the gift of the opera house. He ultimately chose a group of people with roots in the area so that the project could be supported from within the community. He then donated the Opera House to this group for $1.00 with the understanding and promise that its life long function would be to benefit the community and that it would never be sold for profit. Skaggs is very pleased that the Earlville Opera House is a living, working success story today. 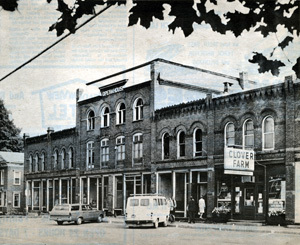 It is now a thriving performance and exhibition center for many other artists. 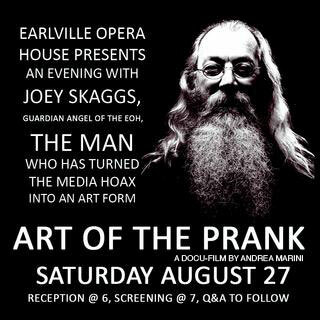 In August, 2016, he was invited to celebrate the Opera House’s 45th anniversary and show ART OF THE PRANK, the award winning film about Skaggs’ life and work directed by Andrea Marini.